New car sales in Denmark are up a whopping 19% year-on-year in January to 19.540 registrations. Market leader Volkswagen beats the market with a 65% surge to 14.2% share vs. 11.8% over the FY2016, ahead of Peugeot up 28% to 13% share. 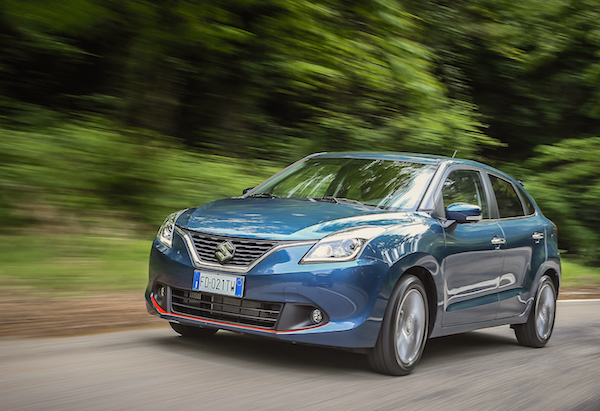 Suzuki is up 65% to #5, Nissan up 82% to #8 and Mercedes up 39% to #13, with Alfa Romeo (+178%) and Land Rover (+113%) also impressive whereas DS (-41%) and Dacia (-42%) struggle. The Peugeot 208 soars 57% to cement its leadership position with 1.227 sales and 6.3%, distancing the VW Up (+18%), Polo (+81%), Hyundai i10 (+46%) and Nissan Qashqai (+103%). The VW Golf (+132%), Opel Astra (+137%), VW Passat (+261%), Peugeot 2008 (+249%), Nissan Micra (+359%), Mercedes E-Class (+292%) and Peugeot 3008 (+2190%) take off. Among recent launches, the Suzuki Baleno reaches a best-ever #11 and the Toyota C-HR lands at #29 with 220 sales. Full January 2017 Top 40 All-brands and Top 215 All-models below.